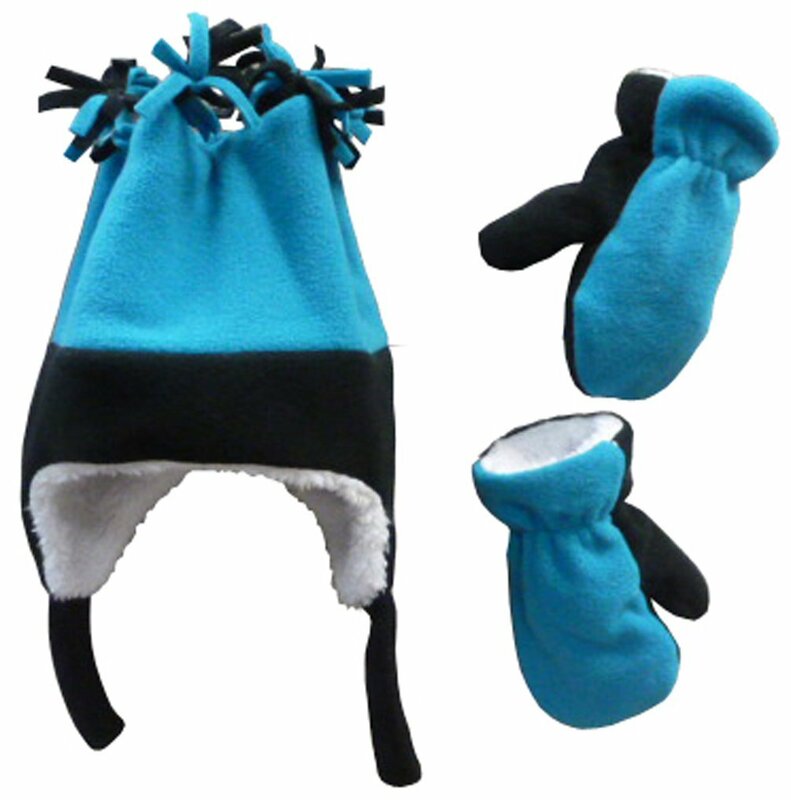 N’Ice Caps women sherpa lined micro fleece hat and mitten set. Cushy and heat. Color choices to be had: fuchsia/pink, purple/lavender, black/turquoise, pink/gentle purple. 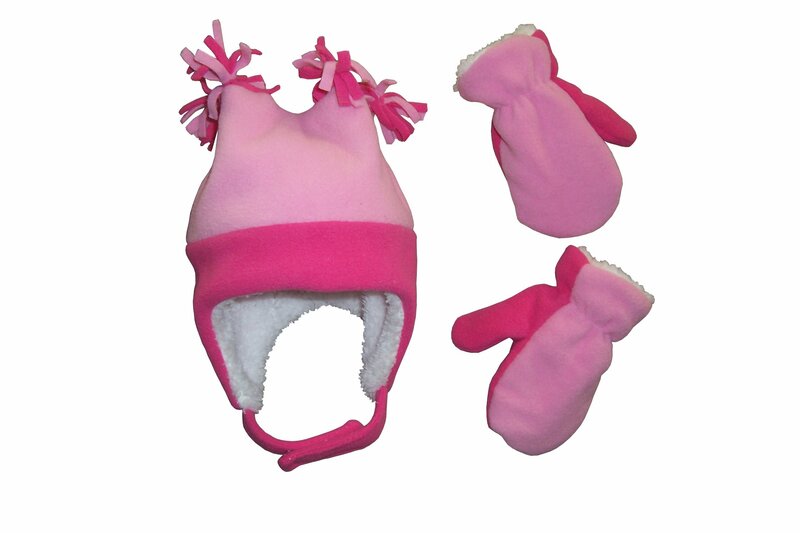 5 Sizes: 1-3 months, 3-6 months, 6-18 months, 2-3 years, and four-7 years. 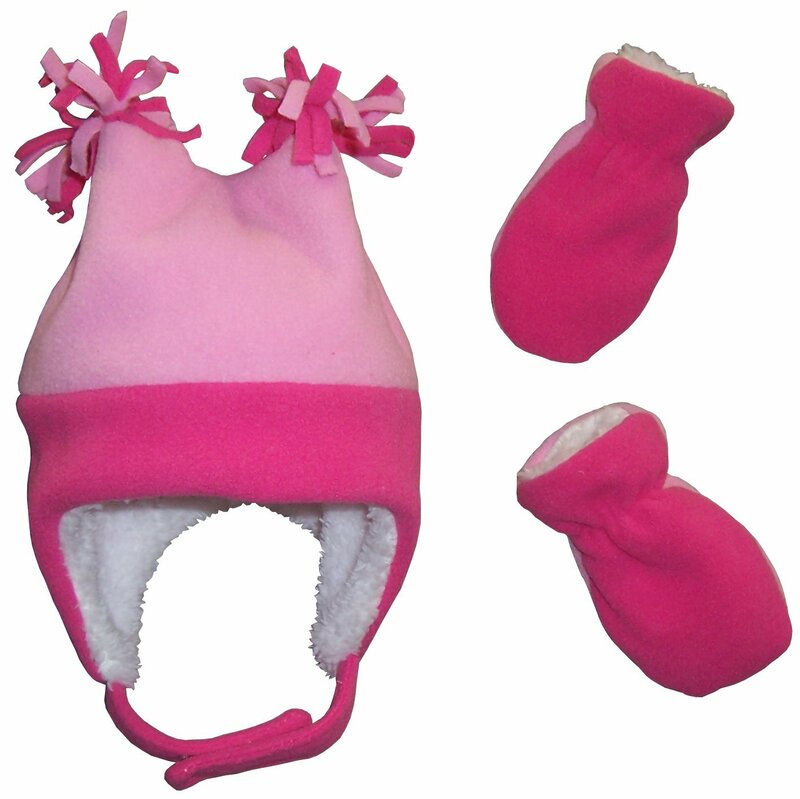 For size 6-18 months, the mittens wouldn’t have thumbs. 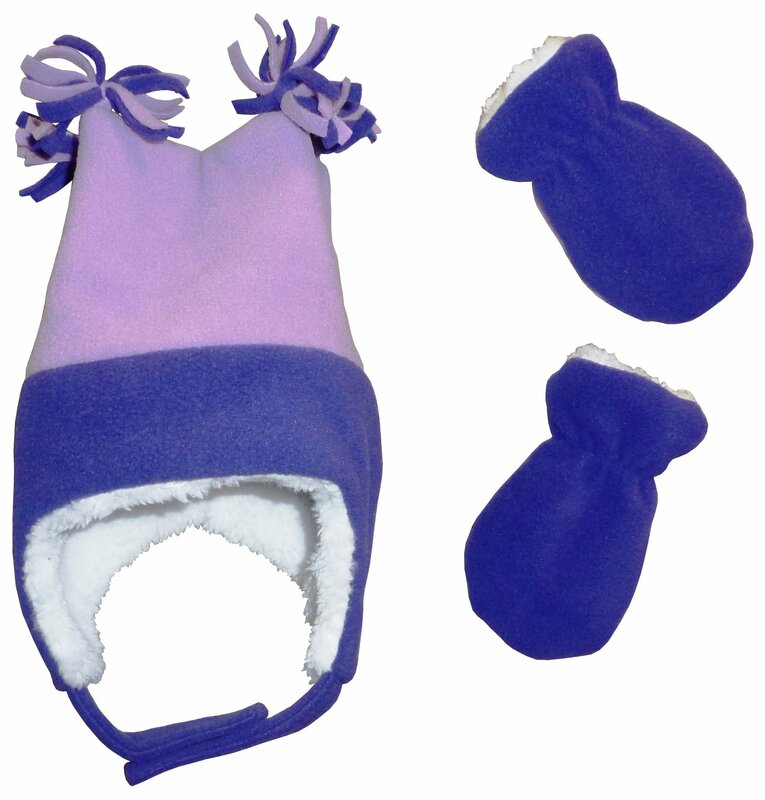 For sizes 2-3 years and four-7 years, the mittens have thumbs.